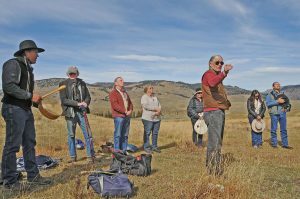 Montana Mediation | MtMA Members in the News! MtMA Members in the News! John Potter drums, at left, as Scott Frazier gives a blessing during a ceremony in Yellowstone National Park on Tuesday. The two have said prayers in the park for the special place and its animals for decades. 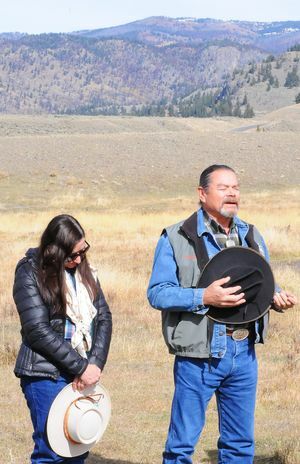 Gerald Sherman, MtMA Board Member in the News: Jael Kampfe bows her head as Gerald Sherman offers a prayer in Yellowstone. Gerald Sherman, an Oglala Lakota, grew up on the Pine Ridge Indian Reservation in South Dakota. Sherman is the founding board chairman and first Executive Director of the Lakota Fund, one of the first micro-enterprise loan funds in the U.S. He has continued his contributions to Indian economic and business development throughout his career in banking and as Program Officer for Four Times Foundation, an organization providing equity financing for Indian entrepreneurs in select Indian Nations. He has a bachelor’s degree from Oglala Lakota College and has been certified by the National Development Council as an Economic Development Finance Professional. Sherman also maintains his involvement in Indian Country nationally as a member of the International Advisory Council of the Native Nations Institute (NNI) of the Udall Center at the University of Arizona, Tucson. NNI does research as well as providing training and consulting services to Indian Nations in executive leadership with a focus on “nation building.” He is a board member of Indian Dispute Resolution Services of Sacramento, California, and former board member of American Indian Business Leaders in Missoula, Montana. Mr. Sherman has served as chairman of the board of the Montana Micro Business Development Agency and was chairman of the Montana Bankers Association Fair Lending Committee. He has received SBA’s Minority Small Business Development Advocate of the Year award for South Dakota and Montana, and twice for SBA’s Region Eight. Gerald and his wife, Jael Kampfe, owned and operated a successful cattle and guest ranch business on the Lazy EL Ranch near Roscoe, Montana for 11 years. They now provide consulting services through their company, Bar K Management. They currently live in Bearcreek, Montana. Long time MtMA member and former board member, Ann Gilkey, was honored this week by Governor Steve Bullock at the annual Prevent Child Abuse and Neglect Conference in Helena. 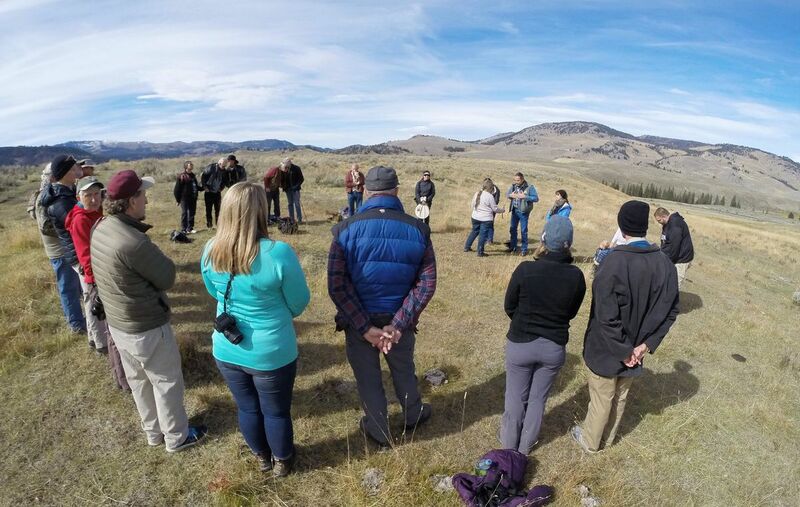 Gilkey received the Montana Service to Children Award from the Montana Children’s Trust Fund. The Trust Fund board honors individuals who have gone above and beyond to help children and families. Ann Gilkey is the Chief Legal Counsel at Montana Office of Public Instruction. Ann previously worked as the Equal Justice Coordinator for the State Bar of Montana, Chief Legal Counsel for the Department of Family Services, Supervising Attorney for the Department of Public Health and Human Services, program specialist for the Montana Supreme Court Assessment program, and taught Child Advocacy as an Adjunct Professor at the University Of Montana School Of Law. Ann has served on various local and state boards, including Child Care Partnerships, the Board of Social Work Examiners, Professional Counselors and Marriage and Family Therapists, CASA of MT and the Children’s Trust Fund. Ann received her J.D. and School Psychology M.A./Ed.S. from The University of Montana. She resides in Helena with her husband, Jay Erickson and children, Sam and Zoë.